Inspired To Educate - Thank you to LucernaStudios.com and Orlando Unity 3D meetup! Home technology Thank you to LucernaStudios.com and Orlando Unity 3D meetup! 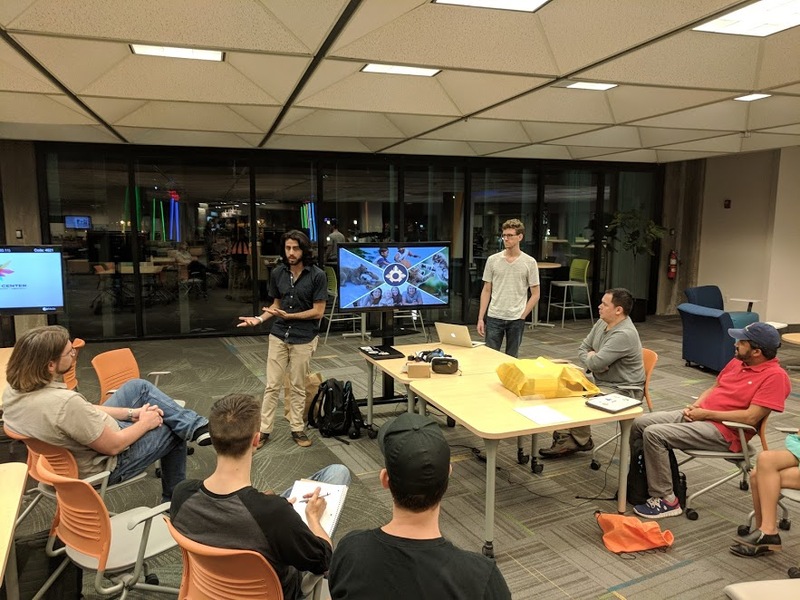 In the past week, our Google Developer Group of Central Florida teamed up with the Unity 3D meetup of Orlando and LucernaStudios.com to discuss building VR experiences for Google VR. We shared the fundamentals of building for Google DayDream and Cardboard. We also explored connecting those game experiences with Google Firebase. I want to give a shout out to Hunter and Jose from LucernaStudios.com. Longtime readers of InspiredToEducate.NET know that we believe in playful learning. (game-based learning or challenge-based learning.) LucernaStudios.com care about helping kids to learn through engaging game-based learning. I also appreciate their vision to connect families through game-based learning. We appreciate them coming out to our meetup to share their story with building a math education game using Google Cardboard SDK. Beyond that, they also talked about their lessons learned in playtesting their games, exploring the educational technology market and focusing on knowing their audience. I like the way they’re applying lean startup ideas. To the Unity 3D meetup group, we appreciate your community and quality content that you organize regularly. If you’re interested in connecting with other game developers or people interested in VR/AR, you’ll enjoy this community. 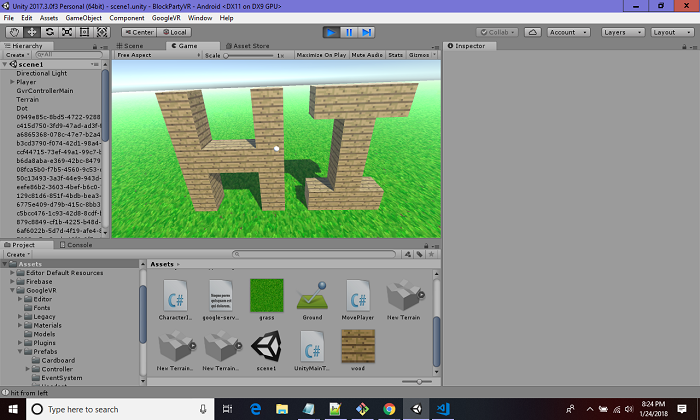 You can connect with the Orlando Unity 3D meetup at their meetup page. To help provide a project-based learning experience around Google VR, our Google developer group drafted a small multi-player block builder experience we call “Block party.” It provided a solid set of examples to talk about Firebase real-time database, DayDream instant preview, and other Unity 3D fundamentals. Block Party VR provides an open source project based learning experience for developers getting started in VR or gaming. In this proof of concept game, we will build a multiplayer “Minecraft” like experience designed for VR. The current implementation leverages Google Firebase for client collaboration. To maximize the impact of the project, we will focus on building a Google Cardboard app in the beginning. Google Cardboard VR has the largest VR market share. The platform can support iOS and Android devices. We are open to seeing Block Party VR ported to other VR and AR platforms. While the current implementation leverages Google Firebase, it would be cool to learn other multi-play platforms too. Check out the following link to get started. All code for block party is released under MIT public license. Want to make a contribution of something you’ve learned? Create a feature branch and share your code! Learn how to set up development and production environments in the Cloud. Learn the fundamentals of the Google Cloud Platform, how to run containers on it and how to use the platform for data engineering. Learn how Docker and Kubernetes work or learn how to process Big Data in the Cloud. Get access to Qwiklabs.com, a Google training tool, FREE of charge. Get Google-hosted badges for your online profiles, to show potential employers what you know about Cloud computing. Study Jams are community-run study groups. The objective of Study Jams is to raise the technical proficiency of our community members through well-defined projects, labs, and technical knowledge sharing. How can a free massively collaborative game potentially help save lives?